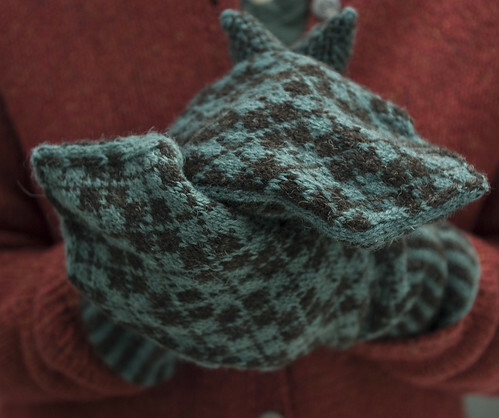 Among some projects finished these last couple of days, Virginia made a pair of mittens and socks that deserve some blog time (obviously, every project should get a mention, but my track record lately has not been good). 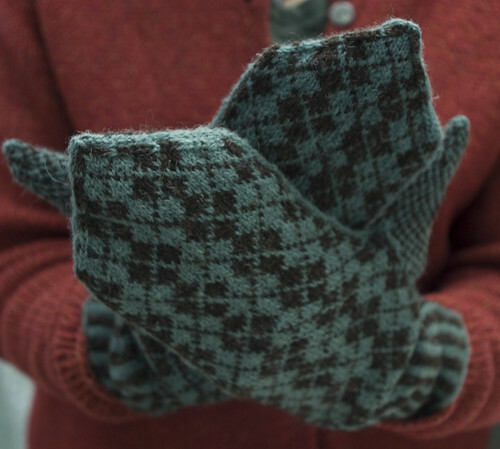 These “Vespergyle Mittens” are from a pattern by Elinor Brown, knit using Spindrift. I really admire the argyle and stripe combination. 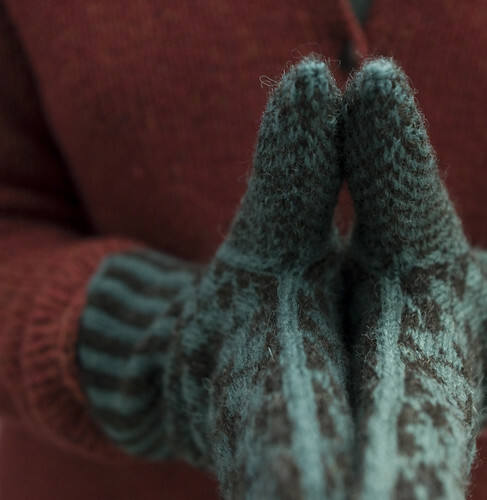 And, of course, the Spindrift is such a cozy yarn for this sort of thing. I am happy to say they are big enough to fit my hands, so there will likely be a race to the mitten bin every time we head outside. 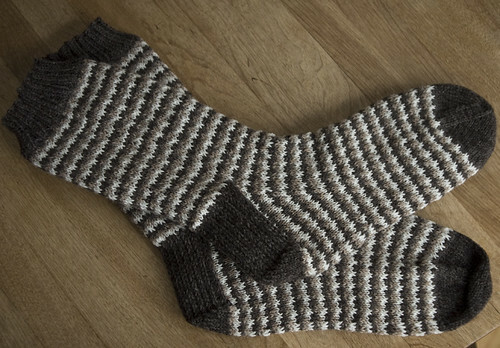 These are knit from a pattern by Marilyn Morgan, in the book Socks, Socks, Socks, using several types of yarn, including Jawoll and Socka. 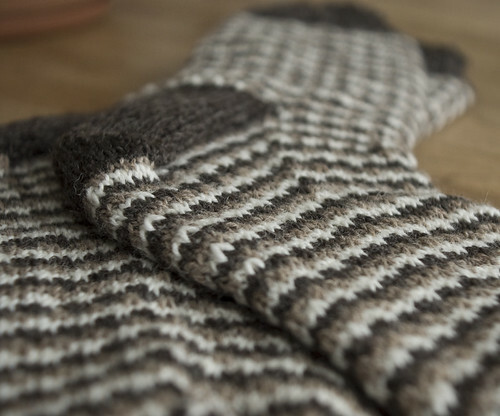 The slipped-stitch pattern really dress up these socks, and I can already envision these paired with dark brown khakis and cardigan. Like I said, it’s a good week for my hands and feet.